Well it has been an incredible journey over the past month. 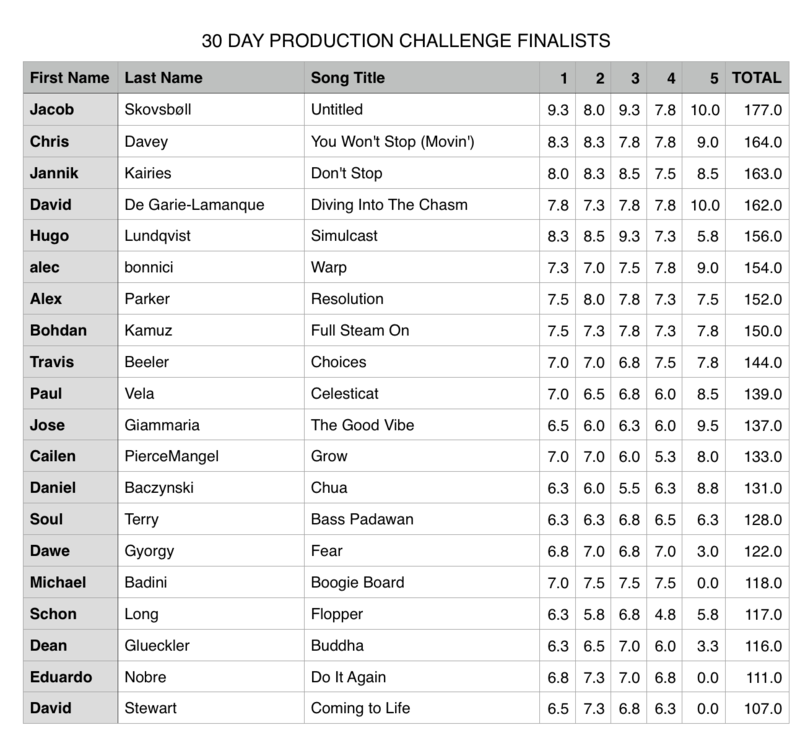 Hundreds of producers took up the challenge to write a song in 30 days. A HUGE shout out to Black Octopus Sound, Cableguys and Ableton for sponsoring some incredible prizes. If you were not selected as one of the top 3, don’t beat yourself up! Read below as, Warp Academy has put together a special time limited opportunity for you to take your music to the next level, read below. Congratulations Jacob, you are the grand prize winner! Congratulations Chris, you are the first runner up! Congratulations Jannik, you’re the second runner up! Warp Academy will be contacting the winners via email shortly with instructions on how to submit your project files. Please ensure you respond within 48 hours and within the guidelines for submitting as instructed. Thank you to everyone who entered! If you didn’t finish in the top 3, read below, we’ve put together a very special time limited offer for you! Community Involvement in the Facebook group.